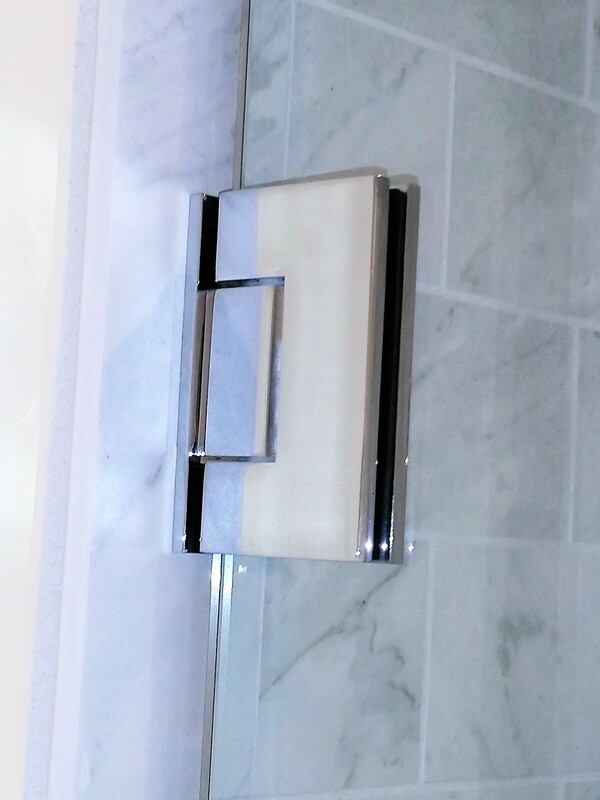 To create the finest quality shower enclosure available, you have to start with the finest hardware around. With almost 50 years of experience in this field, we have researched, tested and implemented the most reliable hardware on today’s market. 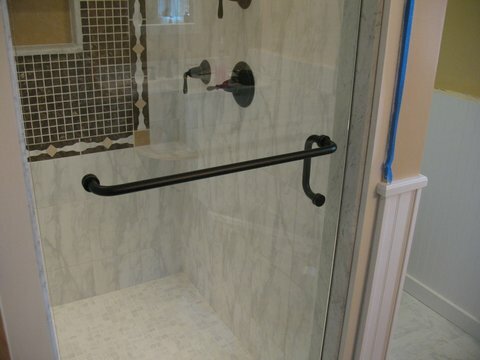 The hardware we offer is also provided with the finest and most durable finishes produced. 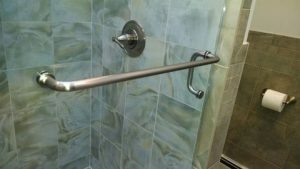 Please check out our hardware gallery below to preview the differences between available hinges, clamps, pulls, towel bars and robe hooks. 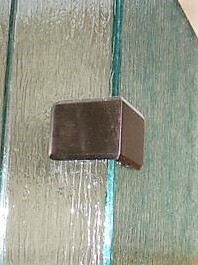 Please also remember that hardware requires specific prep to the glass prior to tempering, so all hardware styles and sizes need to be determined at time of order. 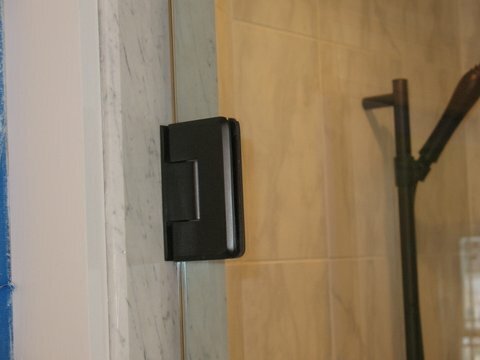 Offset wall mount hinge w/ square edges & corners.